Our threshold ramps are ideal for homeowners and proprietors of businesses who have thresholds which obstruct wheelchair travel. Choose the size that works with your doorways, and add risers if you need an extra height boost! 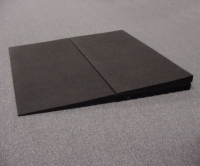 These high-capacity threshold ramps are made from 100% recycled tire rubber, reducing your carbon footprint even as you increase your accessibility! Buy your threshold ramps in pairs and save even more money! 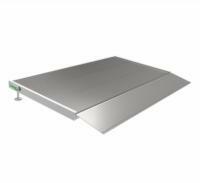 Rubber Beveled Threshold Ramp 1.5"
Save more when you buy two!